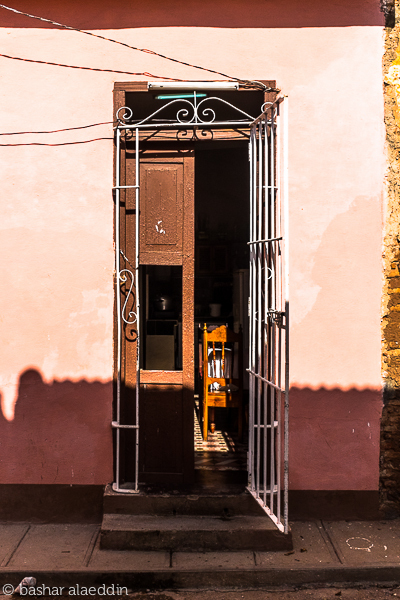 Trinidad was the second most exciting city I was eager to visit in my tour of Cuba. Unfortunately though, due to some time constraints and other factors, I only got to spend an afternoon there and could not spend the night. Nevertheless, I couldn't leave without discovering some sort of themed photo-essay to capture and, for me, it was capturing the really old and rustic architecture of its doors. The city is famously known for its history as it is also on UNESCO's World Heritage site list since 1988. It was a quiet afternoon when I got there and what intrigued me the most, apart from feeling like I was walking back in 1514 when the city was founded, were the doors. 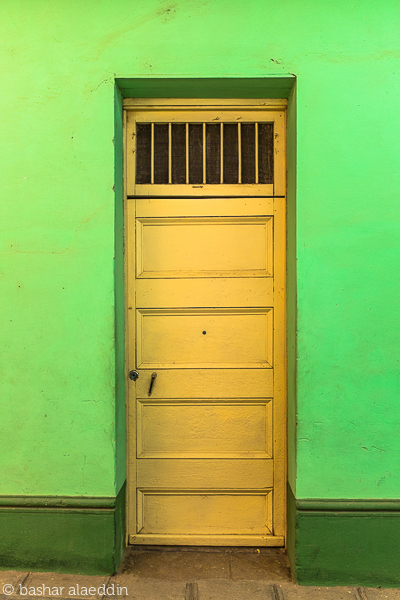 Caribbean-style doors are a thing of beauty and design. Studying their unique intricate and hand-made craftsmanship, I felt each one could tell volumes of stories about what they had seen, but also what lay behind them. Some I felt were entrances to people's homes, some lead to abandoned spaces and a couple actually (not photographed here) lead into commercial restaurants! I'm glad I got to capture some the city's history and this is my personal interpretation of what stood out and called me to photograph. You can purchase these photographs in an elegant frame like in the image below. Email me to bashar@adasat.co with your request to make arrangements. They can be printed in either 4x6inch or 5x7inch with a black mount and wooden frame created by local Jordanian artisans. First copy of the limited-edition print.